Television audiences will soon benefit from the launch of a new local 24-hour news and current affairs channel in multiple languages focusing on South African local, national and world events. The channel is being launched by Infinity Media, a joint venture between India’s Essel Media, South Africa’s Oakbay Investments and a broad-based black economic empowerment structure. The new channel will be broadcast across the DStv platform, in multiple languages. Essel Media and Oakbay will each have a 35 per cent share, while the empowerment structure will hold the remaining 30 per cent of the business. The black economic empowerment structure is still being finalised, components of which will be known soon. South Africa is the hub of media activity in the African continent. 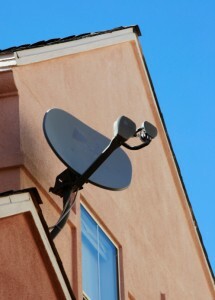 South Africa-based MultiChoice markets satellite pay-TV in dozens of African countries. Essel Media is part of The Essel Group which offers entertainment and news channels reaching millions of viewers in India and internationally. Essel Media is managed by Goel, who has launched multiple regional news channels in India. Oakbay is the majority shareholder in The New Age newspaper and has made major investments which includes media, mining, hospitality and technology. The New Age is South Africa’s newest daily newspaper. Nazeem Howa, The New Age’s chief executive and a director of the new venture, said that Essel Media’s strategic leadership of the project was critical to its overall success, while Oakbay and the empowerment structure will provide the local market knowledge. The South African media has not had to deal with major repression by the state since Apartheid, as freedom of the press is well-entrenched and respected. However, a still-pending Protection of State Information Bill has been seen by many critics of the government as an attempt to stifle investigative journalism in South Africa.